It’s not enough just to gripe about something not being good enough, to tally a criticism of a product in the “cons” side of a review. Intrepid musician-hackers are going and just changing it themselves. Karg, the Heidelberg-based musician (with an ‘a’), is a fan of Korg, the manufacturer (with an ‘o’). And presumably when he bought the Kaossilator Pro+ and its touch pad access to tones. But he ran into frustration when he couldn’t quite get his finger on precise pitches and rhythms. So, he hacked the hardware to add the functionality he wanted. The solution: intervene with Korg’s MIDI implementation so that you can use a standard controller. Really, this might have made the hardware friendlier in the first place (especially since you do see standard MIDI DIN on there), but there’s something sort of lovely about just letting the user do what they want. This week, he’s added a fancier mod. This one requires (just) one solder point, but lets you work with any standard MIDI DIN equipment. Now, to be honest, I have no particular interest in the solution here. 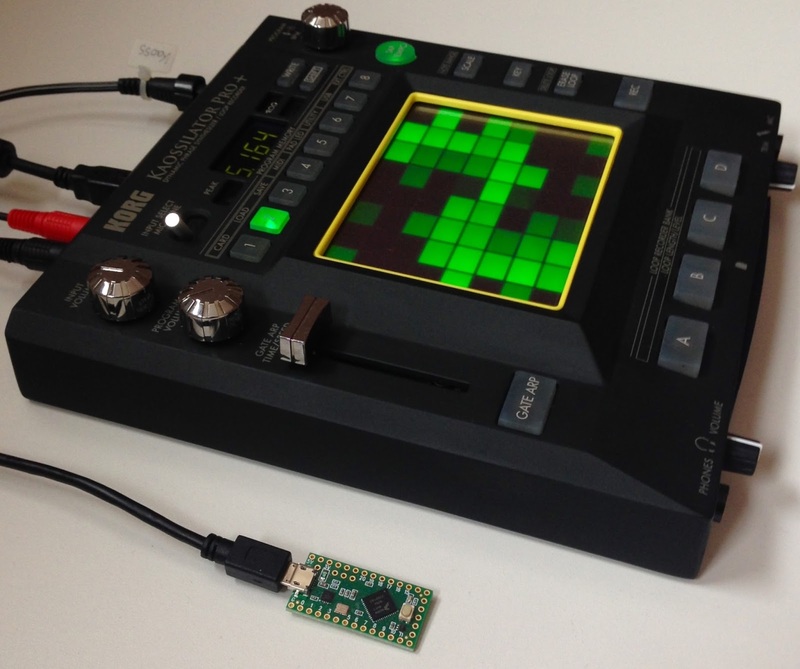 But the Arduino software it’s based on, named with the cheeky acronym MDMA (Multi Duty MIDI Aid), I’m more excited by. And then these Korg hacks make good examples if you’re pondering some hack of your own. You’ll find lots of other hacks and solutions, including modding even IKEA furniture. Got favorite mods of your own? Let us know!